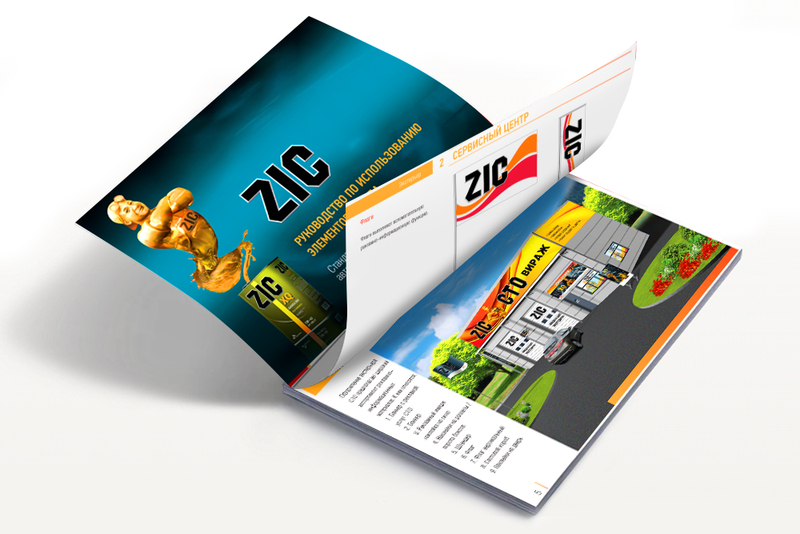 ZIC is engaged in the production and sale of motor oils. Today ZIC is one of the largest brands in the world market. The Brand guide was developed, which specifies the standards for the design of various points of sale: shop, service station, market – and the use of POS materials of the company in each specific case.